Sacred space is the timeless realm where it is safe to slow down and deeply enter into the core of your very own spiritual nature. The following are Sacred Spaces held by Essence of the Mother on a monthly basis. Return to the Temple Within is a conscious circle that embodies the art of soul nourishment. This is the ceremonial workshop that is crafted around the teachings of self love mastery, internal discovery, healing, revealing, creation and manifestation. Through sacred ceremony, guided meditation, kundalini movement and energy work, we divinely fine tune our self through expansive alchemy into becoming our Higher Self. The time has come to center in and live from the unique wisdom of WHO YOU TRULY ARE. 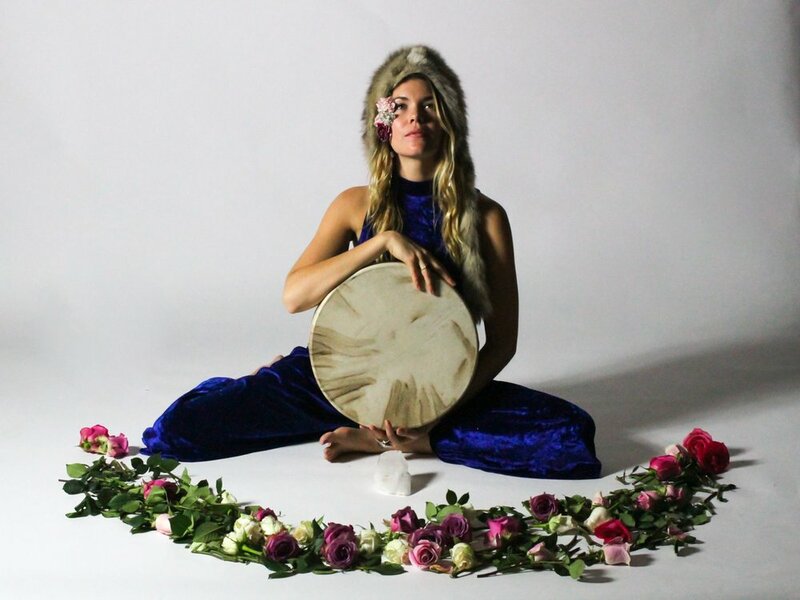 Plant Spirit Medicine Gatherings are an in-depth coming together where we focus on connecting to the living consciousness of a single flower. Through flower essence therapy, guided meditation and tea ceremony, we align with the vibrational healing path of a Plant's Spirit Identity. This is a powerful gathering that creates safe space to open yourself to the unique wisdom, messages and mind body spirit medicine that resides within a sacred plant. Each plant carries its own vibrational imprint here to offer you great healing and guidance. May the gifts of Nature become your allies and beloved friends. Shakti Sadhana is the spiritual practice of honoring the sacred intelligence of the divine feminine. Within this beloved sister circle, we focus on awakening our ancient and new connections to our glorious female body. We come home to our center of Heart and Womb wisdom to restore and empower the many aspects of our feminine nature. We make way for our SHAKTI to rise as the creative Life Force Energy that unveils the secrets to living a life of radical pleasure and purpose. Temple of Shakti – Womb wisdom circle is a safe space to radically embrace and fully honor all parts of your creative wisdom. Together we reveal and receive through the endless life affirming medicine that vibrates within the universe of your feminine womb. This practice supports radical sensuality, loving relationship to your yoni, cultivating your feminine mystery and healing the forgotten parts of the sacred feminine. The Moon has tremendous influence on our bodies and minds, her astrological wisdom and gravitational pull is always supporting us within our own rhythms and cycles of life. Working with the energies of La Luna in her prime phases is an ancient practice. The Full Moon and New Moon phase is the most powerful time to work with the healing light of La Luna. Ceremonial Moon Gatherings are crafted to best align with the current astrological happenings within the lunar phase. New Moon is the time of new beginnings, shedding the old, setting intentions and goals, healing, re birth, manifestation and creation. It is the time of the future self. Full Moon is the time of celebration, climax, fullness, abundance, infusing your life with the bright light of Luna and honoring the path of gratitude. Full Moon is a most powerful time to come together in ceremonial ritual, creating space to honor yourself in your fullness. Full Moon energy welcomes us to purify in the light of the illuminated one. Invite Rachel Maroudas of Essence of the Mother to lead your own private circle and gathering. She is here as a retreat and sacred workshop facilitator. Thank you! Rachel will be in touch with you shortly!